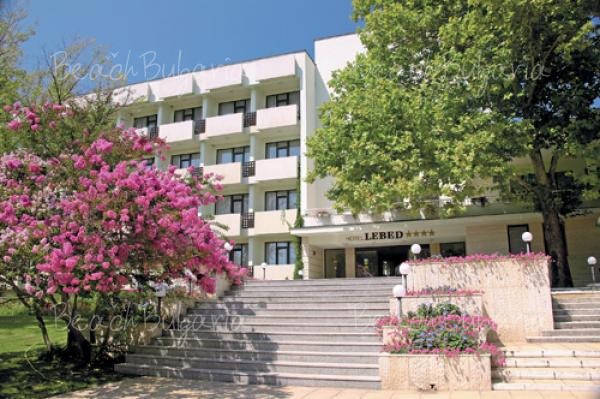 Aphrodite hotel is located on the beach in Nessebar Black sea resort. 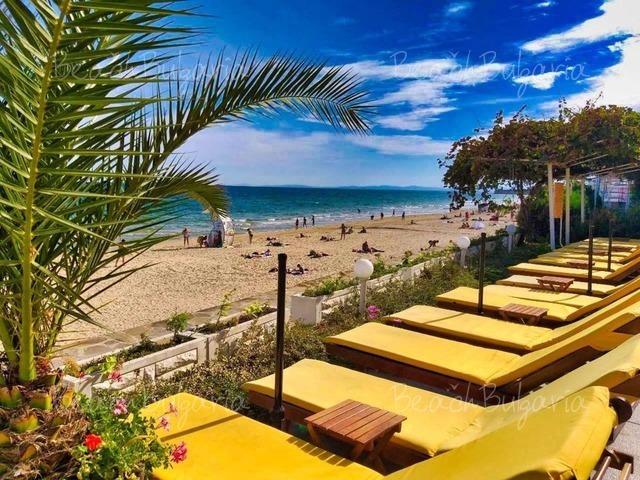 Aphrodite hotel offers 73 air-conditioned guestrooms with balconies with park, sea or pool views, minibars, cable television, bathrooms with shower, iron and ironing board. Housekeeping is offered daily. In-room massages can be requested. Cribs are available. 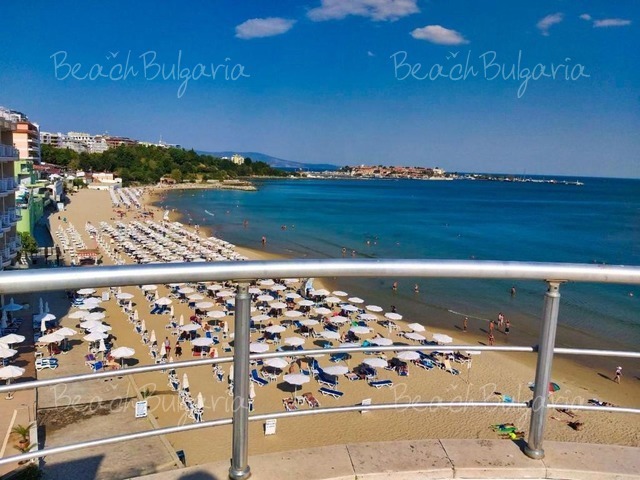 The hotel features a restaurant for 50 guests and extra 70 seats on a terrace with a beautiful sea view. 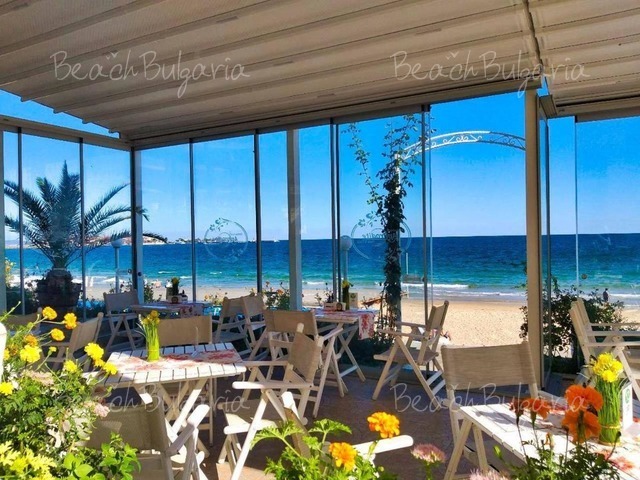 The restaurant serves fish specialties and a variety of dishes from the Bulgarian and European cuisine. The hotel features an outdoor swimming pool, a sauna, gift shop, laundry facilities, tour assistance. 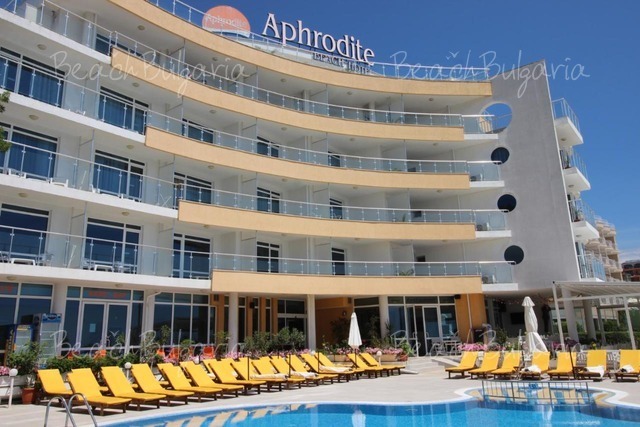 Accommodation: Aphrodite hotel offers 73 air-conditioned guestrooms with balconies with park, sea or pool views, minibars, cable television, bathrooms with shower, iron and ironing board. Housekeeping is offered daily. In-room massages can be requested. Cribs are available. * The prices are in Euro per room per night, no meal included. 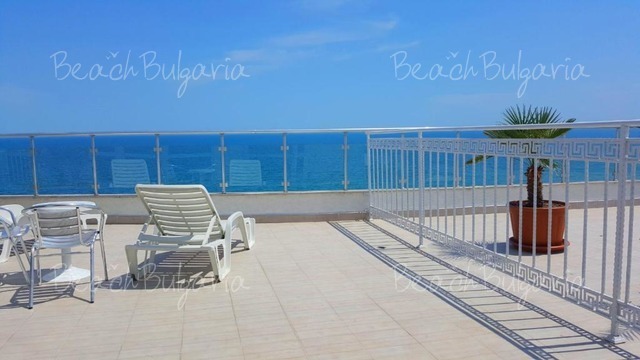 Guests of the hotel can use swimming pool, parasole, sunbed near the pool, parking. 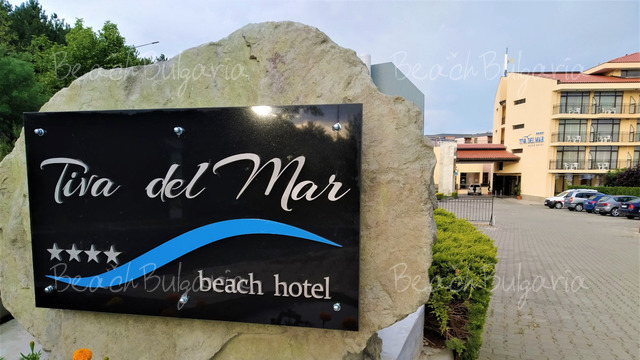 * Cancellations can be made free of charge providing details of this are received at least 10 days prior to check-in time on the day of arrival and 15 days during 01 July - 25 August - cancellations made after this period will incur a fee equivalent to the cost 100% off the accommodation. Please, post a comment on Aphrodite Hotel .